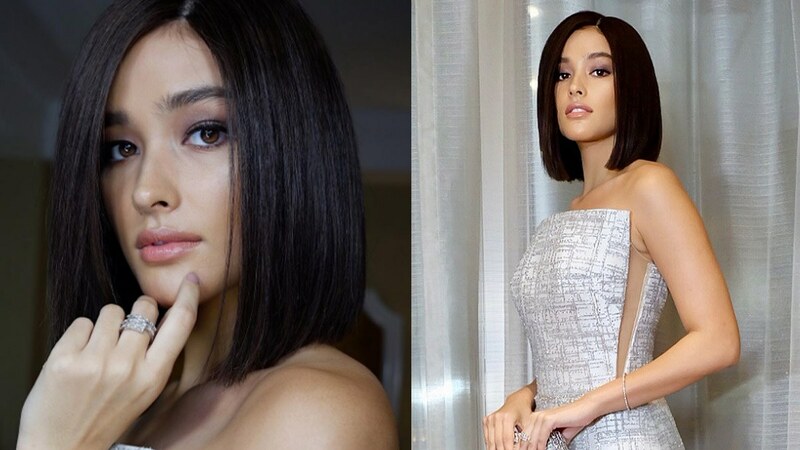 Liza Soberano is no stranger to drastic hair changes. Remember when she channeled her inner Audrey Hepburn via bangs? Or how about the time she had a hot pink hair? Well, she has done it again because for the 49th Box Office Entertainment Awards she debuted a sleek blunt lob! The one-length cut complemented her neutral smoky eye and glossy lips, and allowed her custom white and silver Mark Bumgarner gown to ~*shine*~! We're pretty sure she's sporting a wig, but tbh, it's totally fine. She looks gorg anyway!